Vox explores the history and importance of Philadelphia's mural arts history. When thousands of people start streaming into Philadelphia for this week's NFL draft, their travels around the city will put them in front of one of the world's greatest mural collections, numbering about 4,000 at this point. Philadelphia's status as a global "mural capital" wasn't earned without a serious commitment from artists, volunteers, city government and, eventually, the private sector. Locals know that this took root with the foundation of the Mural Arts Program, recently rebranded Mural Arts Philadelphia, in 1986. In a video feature published Monday by Vox, the organization's founder, Jane Golden, discusses her migration from Los Angeles to Philadelphia to assist with former Mayor Wilson Goode's Anti-Graffiti Network. Golden went beyond the city's initial plan for a youth arts and crafts initiative, advocating instead for a sweeping mural program that would span every neighborhood and beautify walls well outside the immediate orbit of Center City. 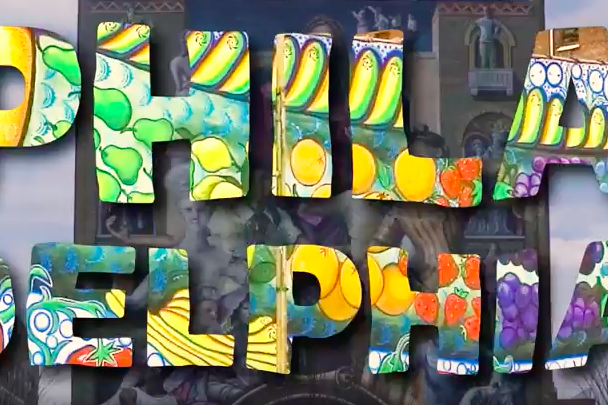 As the video points out, thousands of visitors participate annually in Philadelphia Mural Arts tours that take them to neighborhoods they might not otherwise see. At home, the program offers opportunities for schoolchildren, people with substance abuse and mental health issues and those who have recently re-entered society after serving time. You can keep up to date with the organization's current programs and events here.